An all-in-one utility used to correct errors in Dynamics Payroll, easing the headaches of keeping up with regulation changes. Affordable Care Act compliance done right. Track employee eligibility with a couple of easy clicks. 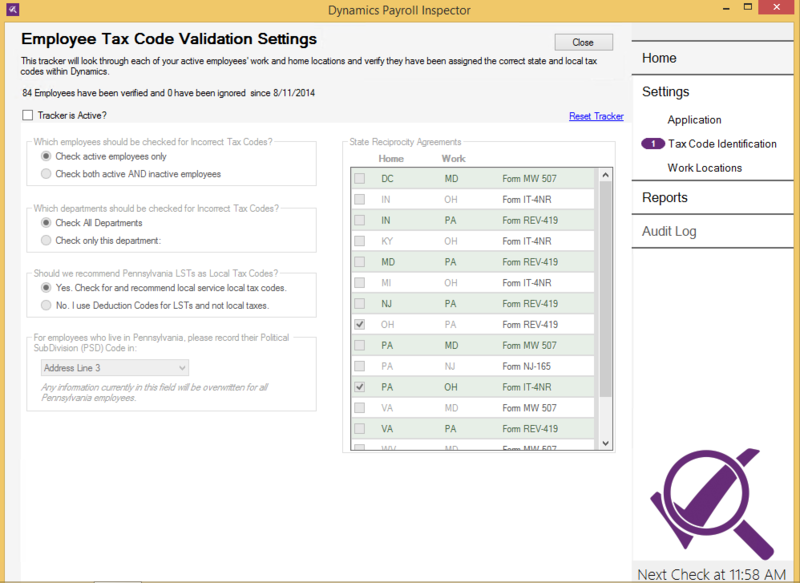 Identify and assign applicable tax codes and rates, as well as PSD code assignment for ACT 32 reporting. Update local tax rates at the click of a button, so you can worry about more important things. 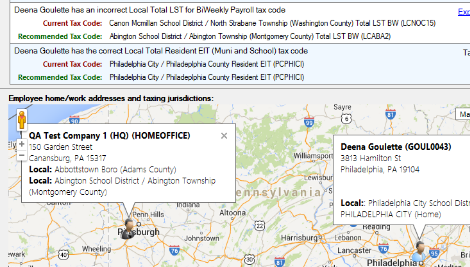 Adjust incorrect tax assignments based off of home and work locations to stay compliant with reciprocity rules. Verify SSN early and often to avoid costly penalties.